The Limitations Act, 2002 (“Act”) has been in force since January 1, 2004. However, section 15 of the Act, which establishes an ultimate limitation period of fifteen years, has not yet had any practical impact. The practical impact of the ultimate limitation period is set to take effect in a few weeks, on January 1, 2019. The Act, which came into force on January 1, 2004, established a basic two-year limitation period. This new basic limitation period was a significant change from the previous basic limitation period of six years that had applied to most claims before the Act came into force. While there are a number of exceptions to the application of the basic two-year limitation period, it applies to most claims in Ontario. This basic limitation period runs from the earlier of the date on which a party knows of the essential elements of the claim (in other words, when the claim was discovered) and the date on which the essential elements of the claim were discoverable. Before the Act came into force, all claims were subject to this discoverability rule. Limitation periods did not begin to run until a claim was discovered or discoverable and there was no “outside date” for bringing a claim. The impact of this was that a defendant never really knew how much liability it was potentially exposed to because it could be subject to liability for an indefinite time. The Act attempted to balance the right to sue with the right of certainty and finality in managing affairs by introducing an ultimate limitation period. This ultimate limitation period has the effect of extinguishing claims fifteen years after the act or omission that gave rise to the claim, regardless of whether the claim has been discovered or was discoverable. The Act clarifies that in the case of a continuous act or omission, the ultimate limitation period starts to run on the date the act or omission ceases; in the case of a series of acts or omissions in respect of the same obligation, the ultimate limitation period starts to run when the last act or omission in the series occurs and in the case of a demand obligation, the ultimate limitation period starts to run on the first day on which there is a failure to perform the obligation once a demand for performance has been made. Of course, the ultimate limitation period does not extend the basic limitation period and is, therefore, not applicable to claims that have already expired because they were discovered or discoverable more than two years before a proceeding is commenced. There are a number of specific types of claims that are excluded from the ultimate limitation period. These types of claims include certain claims related to environmental damage; certain claims related to sexual abuse; certain claims by the Crown to recover fines, taxes, penalties and interest; claims for support under the Family Law Act; and claims by debtors or creditors in possession of collateral to either redeem it or realize against it. In addition, the ultimate limitation period does not start to run if a person is incapable or a minor not represented by a litigation guardian. The Act was amended in 2006 to allow parties to a business agreement to vary, suspend or extend limitation periods in certain circumstances. Business agreement is defined in the Act as an agreement made by parties none of whom is a consumer as defined in the Consumer Protection Act, 2002. In order to extend the ultimate limitation period, the agreement must have been made on or after October 19, 2006. In addition, the agreement must have been made after the relevant claim was discovered. As a result of these requirements, parties to a business agreement cannot agree upfront in a contract that there will be no limitation period or that an ultimate limitation period will be longer than 15 years. Parties to a business agreement can also vary the ultimate limitation period to make it shorter. However, the agreement must have been made on or after October 19, 2006. The practical result of this transition rule is that all claims based on acts or omissions that occurred prior to January 1, 2004 but had not been discovered by potential plaintiffs as of that date have a fifteen-year ultimate limitation period that started running on January 1, 2004 and will expire in a few weeks on January 1, 2019. For the first time, claims will expire regardless of whether they have been discovered or were discoverable. After January 1, 2019, we will see the full impact of the ultimate limitation period. Starting next year, plaintiffs will need to establish not only that the claim was discovered/discoverable within the two-year basic limitation period, but also that the act or omission giving rise to the claim occurred within the fifteen-year ultimate limitation period. If there is a possibility of a claim related to acts or omissions that occurred before January 1, 2004, parties should either commence litigation before the end of the year or seek to enter into an agreement to vary, amend or suspend the limitation period before the end of the year. Moving forward, the fifteen-year ultimate limitation period will run from the date of the act/omission at issue in all cases (other than those caught by an exception) and the transition period will no longer be available to extend claims past 15 years. As a practical matter, this means that when a claim is discovered, proceedings will need to be commenced before the earlier of two years from when the claim was discovered/discoverable or fifteen years from when the act or omission occurred. The intention of the ultimate limitation period was to bring some finality to claims. As of January 1, 2019, parties can reconsider record-keeping and insurance needs in light of the expiry of most claims arising from acts or omissions that took place prior to January 1, 2004. Keep in mind, however, that there are some exceptions. 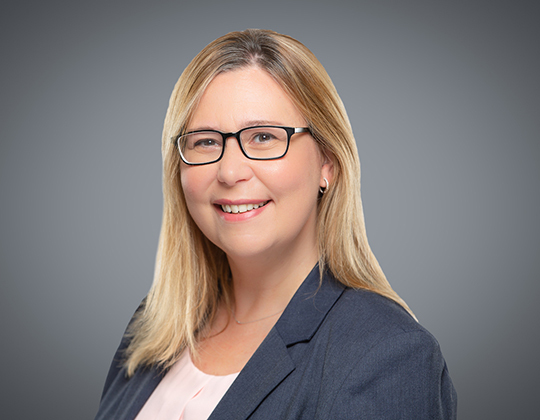 In addition, proceedings commenced just prior to January 1, 2019 may not have to be served until the end of June, 2019 as the Ontario Rules of Civil Procedure allow six months to serve a claim.